West African Soldiers fighting to bring lasting civilization to savage Europe. Blewu is an ancient Ewe dirge of endearment for the Dead, to wish them a safe journey home (to the Ancestral World). Blewu was famously performed by: Bella Bellow (Togo) in Album Denyigba. Also on Nov 11th 2018, 100 years after Europe’s First Needless War between the Merchants of Blood, or MOBs (Europe’s great powers), Blewu was performed by Angelique Kidjo (Benin) to once again admonish and teach current European leaders about Peace, and to commemorate the 100 year anniversary of the many African soldiers who fought and died in order to bring Peace to the European Continent. Earlier I had written against Kidjo’s performance, calling it an entertainment for the wicked, the most violent leaders the world has ever known. Several readers wrote to me personally and they have changed my mind towards that act. 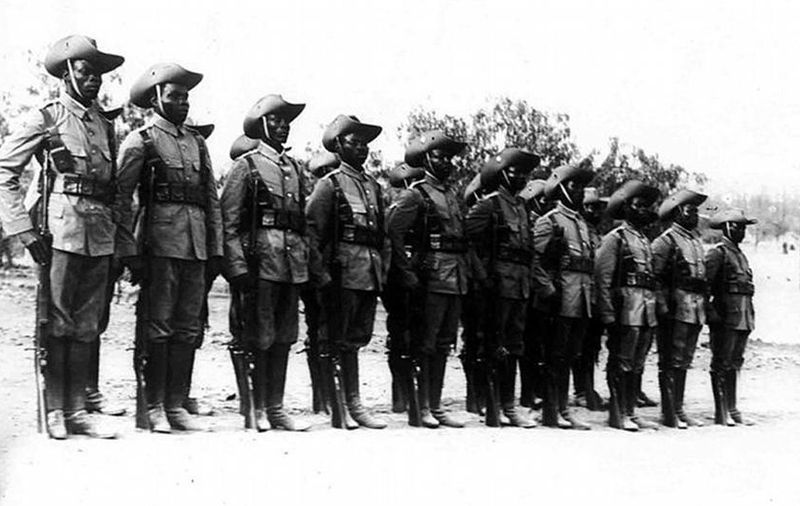 I have immense respect for the African men and women who died in that needless European war. I would like to believe that our soldiers didn’t die in vain, perhaps. It wasn’t a war they would have wanted to join in after all; had it not been for the enlightened enforcement that the European Merchants of Blood (Mobs) needed to bring the war to an end. Even as the war ended, we will never forget the history that many of our heroes who survived the carnage were still betrayed by their so-called European “friends”. Some were slaughtered after the war by French Garrisons in particular, to wipe out (1) significant memories of the horror that the MOBs unleashed upon their European citizens as a result of their unrelentless greed for materialism and, (2) to wipe out Africa’s Godly contribution to ending Europe’s needless wars. Nonetheless, our soldiers fought gallantly on a freezing midget continent to bring about some peace. 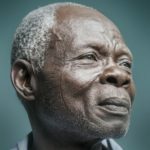 Kidjo’s performance before the voyeuristic modern-day European Merchants of Blood in November 2018 is perhaps the beginning of the Respect, the Honor, that the African soldiers’ contribution to bringing civilization to Europe deserves. Although the MOBs will later jump at each other’s throats a few decades later in a Second Needless War, the contributions of African soldiers still cannot be overlooked. The honor after all belongs to all the African men and women who relentlessly fought everywhere around the world against their will. The world, since Pharaoh Tahaka’s war to protect Judea, has always needed the enlightenment of African soldiers to bring needless wars to lasting ends. This is Blewu, an Ewe dirge, for all the African soldiers who fought and died, during and after those European wars, to bring civilization to the savage midget continent that is Europe. Alas, will the Europeans help themselves to civilization, or will they not? Will the Europeans and their C. American partners continue to buckle under the gluttonous desires of materialism and will they continue to revert to the devilish appeals of cold wars, secret wars and perpetual wars, or will they gather enough courage and finally honor the sacred blood that Africa poured to save them from utter barbarism? Here is the dirge Blewu. English Translation: Narmer Amenuti (Dances with Lions). People of your kind are rare in today’s world . Kudos .my respect for you has grown biiiger. It is true. You needed convincing about the Kidjo act. And boy did you give it to Europe’s barbarism! When you change your mind, it is even for the more powerful idea, which you make even more powerful. Thanks for sharing, I have been looking for a translation of Blewu. I played both versions of the song, by Bella, and the performance by Angelique. Equally rendered beautifully by both ladies. Why the song was chosen to be performed for these warmongering egoistic bunch of MOBs beats me! Apparently, it did not work a hundred years ago, so why even try when things are even worse in this times? It must be reserved as lullaby (indeed sounds like it) to soothe babies. The Ga word “Blɛo,” the Ewe “Blewu” and the Twi “Brɛ” have the same root. Some claim they came from the Guan. However, in various contexts the word points to different synonyms: Slowly, Carefully, Gently, Patiently, even thoughtfully, etc. The Twi or the Gbe word “Brɛ” also occurs in various Ewe and Akan poems in the same form, where it is used to mark the steps of Kings, and not just the Dead. So you are correct Dade Afre Akufu. I wish more people actually took their time to study West African languages. We are more of the same people than we actually like to let on. The colonialists did a great job to disabuse our minds that we are more similar than different. Today, even the Ga translation of the Bible seems to adopt more of the Antonyms of “Blɛo” than they actually engage the use of the word “Blɛo”. You will see “fiofio”, “tsuishitoo” and such, but not “Blɛo” pe se. I am not sure why the insistence in the Ga Bible to use the negatives like “edaaa oya,” “eyaaa oya,” “enyiɛɛɛ oya,” and such. Why not just use “Blɛo”. There’s a caste of Gas who are more interested in proving that they are different from Ewes (and vice versa), than similar to Ewes. That is a big issue. But the languages come together when we reach further back. Would you say a deep understanding of Twi, Ewe, Ga, Hausa, and Dagbani will probably bring us more together as Ghanaians, West Africans? This suggests a dual meaning to Ms. Kidjo’s rendition of this song. Perhaps, judging by her expression it may well be an encouragement for patience onour part and a warning to be careful to those in the audience…IJS! No doubt, I gather your meaning as well. The invocation of the Leopard is within the realm of a double entendre. Hopefully we are the Leopards waiting patiently for the best, most opportune moment to make the move for total liberation of Africa and Africans from the hands of Merchants of Blood (the European Barbaric Powers). Europe’s barbarism and violence on Africa and Africans will one day come to an end. They should “be careful” (Blewu) alright. THE TRUTH MUST BE TOLD: WORLD WAR 1 & 2 WERE ACTUALLY EUROPEAN INTER- TRIBAL WARS IN WHICH THE ENGAGED AFRICANS AND ASIANS TO FIGHT ON THEIR BEHALF. CHECK IT OUT, CHE! Narmer Amenuti is it an old song or it was originally done by Bella in 1978? Good question. I am not sure if Bella was the composer. I understand it was an old song… many first recorders in our lands recorded many of our old songs without trouble. We didn’t have IP laws. Our communality made it so…. still I am not sure of Blewu was a communal product or not. I hope that someone with historical authority can clarify for us. Narmer Amenuti, I want to believe it’s a traditional Ewe dirge song. Cos Bella was only born in 1945. And if this song served as the morale booster among African soldiers back then, Bella couldn’t be the original composer. I believe this song was in existence before 1978. Hmm. Interesting. I will give it another listen. Thanks for letting me know. Koku Zumanu. The ewes, Ge(Ga), fon and Yoruba have several things in common…..they migrated from a common ancestry(Ife, Nigeria). I think they were all agokoli’s subject. Narmer Amenuti whether the other tribes like it or not we hear it with our ears in spoken language generally “blewu” cuts across the Wet African languages. At least most of them. They [African soldiers] deserve our SYMPATHY and NOT our RESPECT. Interesting take my friend. I understand. It is terribly and terrifyingly annoying and sad that so many had to fight and die in Europe’s two tribal wars! Much thanks! I am glad you found the translation useful. Precious ewe voices. Now our musicians are too shy to sing in ewe let alone speak it. They are completely lost. I must also admit that this aspect of history Was not known to me either, Hence my dissapointment with Angelique. In view of the facts I also take back my criticism. Most European historians have been much more reluctant than Narmer to dwell on the really deep-going factors of unlimited greed behind European royalties and capitalist cabals leading to unleashing the catastrophic conflicts which it had to take colonial subjects to come to their rescue. It’s nonsense to keep selling the superficial notion that the killing of a European prince in itself provoked an almost global mincer. There’s no justification for our participation in the war. Absolute and emphatic Zilch. This romanticism is only in the minds of Africans. This explains why we have not engaged in any serious intellectual discourse on the subject. It must, however be said and stated clearly that it was both attempt to please their colonial masters and towards their acceptance. An act which is still prevalent today; we still neck deep the act. Seyram Amegadze you can make your point without using derogatory language. None of us here is “deluding “ ourselves with colonial whatever, and in logic the point you made is another premise to the argument. We are primarily concerned with the rendition of this great ewe song not the activities of former colonialists. We have not yet even touched on the occasion. Mixed up ideas usual derail from point of of argument. Sorry if my comment comes out as insulting to you (Sister Emma Ama) or anyone. Just note that it wasn’t meant to be but directed specifically to those charlatans who wrote to convince brother Narmer that those who out of their own volition joined the tribal wars of the west died for something. That to me is nothing short of delusion. (Kindly re-read from the paragraph beginning with “Earlier I had written against Kidjo’s performance…” and continue up to the end). Thanks for the insights, lyrics and translations of the beautiful song by Bella Bellow “Blewue”. The black vetirans are always left out, this song sure befits the commemoration of their sacrifices. We will never forget them now that some of us are aware of their contributions in the war.